Dance studios are places where dancers go to learn or rehearse. Usually there is a special floor within a dance studio where the rehearsing can occur. A dance studio in San Antonio may have different types of floors depending on the type of dances performed. For example, a smooth hardwood floor is often used for tap dancing. There are other performance floors that are covered with vinyl. These floor can be transferred to different venues. In addition to the vinyl and hardwood floors, there are also floors that contain springs. This allows jumping and dancing for the students. These floors can help with the dances being performed as well as the health and safety of the students. The landings on these type of floors give way and allow for a softer landing for the students. Thus, preventing a majority of common leg injuries. If ballet is taught in a San Antonio dance studio, then you will find a barre in the studio. A barre is a waist high handrail that gives support to the dancer. These handrails are used for practicing techniques as well as warm ups for various dances. However, these rails are often associated with ballet practice. The barre is one of the most important tools when an individual is beginning to learn ballet. It gives them the stability to learn proper technique. It also allows muscles and coordination to be developed before more difficult ballet techniques are learned. In addition to using a dance studio San Antonio barre for ballet, it is also used for exercise classes. These classes allow you to work on flexibility, stamina, and core strength. Barre classes got their beginnings from pilates and yoga. Music is an important part to dancing, no matter the dance. Thus, most studios will have stereo systems installed to play either CDs or digital media through thumb drives or bluetooth. Some studios may still use actual pianos to help dancers in a classical dance. These studios also will have mirrors on one of the walls so that the students can see themselves while perfecting movements and the techniques of the dances. Aside from everything that a dance studio possesses physically, the activities are the most important part of a dance studio San Antonio. These dance studios offer numerous dances for all age groups. It does not matter whether or not you dance to try to make a career out of it or you dance for the exercise, either way there are classes offered for everyone. How can you be helped by a dance studio in San Antonio? San Antonio Dance Studios can help you learn the dances you’ve always wanted to know or help you become the dancer that you want to be. There are many dances that can be learned at a dance studio. The studio can spend as much time with you as you want. Classes are meant to be fun and enjoyable. It is a time for you to relax and enjoy yourself. There are also classes offered that allow family time. Families can even get discounts at these San Antonio dance studios. A dance studio can also point you towards the outfits you will need to perform different dances. Learning certain dances most likely means that you will have to get specific outfits for your class. They may know where the best places are to get the outfits that they want you to have. In addition to the outfits, they can also point you toward a specific dance class if you are unsure which one you want to participate in. They will be able to speak with you about what you would want out of a class and which type of dancing best suits you. This can be an excellent thing. Starting off in a class that you enjoy can help you to progress faster than a class that seems difficult or not that enjoyable. There are numerous dances that are offered. Not only will a dance studio San Antonio be able to help you decide which dance would be best for you but they can help you start in the right section of the class. 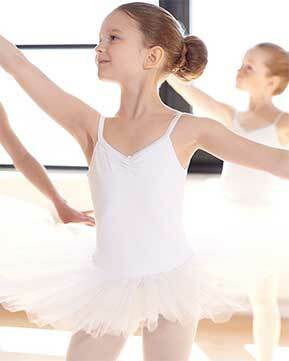 Most dance classes will have various sections of the dance class based upon age and difficulty. For example, ballet may have three sections. The first sections may only be focused on strengthening core muscles while the latter sections will focus on learning pointe. The studio can place you where you should be. This will depend on whether or not you have had classes before and what level of skill you have attained. Other classes may be more focused on age groups and separating youth from adult rather than by separating skill. Overall, a San Antonio dance studio will be able to address all of your dancing needs. You will be able to learn at your level and be placed in a dance class where you can succeed. Dancing allows you to have fun, feel re-energized, and exercise in the process. 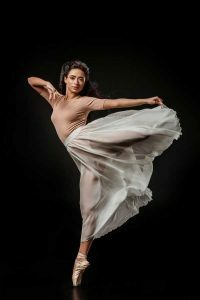 Getting off on the right foot is as easy as contacting the San Antonio dance studio and signing up for the class that you want. These classes may only be offered at a certain time of the day or week, which will have to be a factor in considering which one is right for you. Once you have signed up and have your scheduled time, it is good to know whether or not a specific outfit is needed. Also, knowing what a typical dance studio session is like can be comforting and help you prepare. What do you do in a typical dance studio session? Dance classes are usually offered in group settings. So you should know that when you show up for a new class that there will most likely be a large group learning the dance with you. If you are worried about large groups, then you can look into private lessons. Private lessons can allow you to have one on one with the instructor. Usually these classes will last between 45 minutes to two hours that means that a lot has to be learned in a short amount of time. This will mean that you have to learn quickly in this fast paced environment. Knowing this going into the class will prepare you so that you are not caught off guard. These classes will often involve some sort of warm up, a barre routine, and then into your selected choreographed dance. In addition to the fast paced environment you will be exposed to new terminology that may take some time and effort to learn. It may feel like you are drinking out of a fire hose. However, with focus and perseverance you will be able to learn what you need to. Finally, it is important that you do not compare yourself to other dancers in the class. Dance studio San Antonio is meant to be enjoyed. You can move at your own pace based upon the goals that you have set for yourself. As long as you are meeting your personal goals, nothing else really matters. Going into the class with an open mind and being goal oriented will allow you to progress to where you would like to be. These classes are meant to build your dancing skills and to be a stress free environment. Sure there may be some difficult words thrown at you or maybe even a fast paced environment that you are not used to. However, with goals in mind and preparation there will be nothing that you cannot accomplish in your class.